Some lovely things that clients have said about working with me! It's one of the things I love most about wedding photography; spending a whole day with a couple, their family and friends, I get to know so much about them in a short space of time. I use that connection to create a visual story of your day that's totally unique to you. "We could not have asked for a better person to capture our day. From our initial skype meeting to the wedding day itself, Charlotte has taken the time to really get to know us and make us feel totally at ease in front of the camera. Everyone commented on how well Charlotte blended in on the day and felt like a natural part of proceedings. The photos we have from our engagement shoot and the preview of the day have all been more beautiful than we could have hoped for and perfectly captured us and the day itself. We can't wait to see more and are truly grateful that we had Charlotte as part of our day, thank you so much!" "If I could give Charlotte more than 5 stars then I would in a heartbeat. My (new) husband and I regularly say that having Charlotte do our photos was the best money we spent on the whole day. She was kind, friendly and unwaveringly professional. At no point did we or our guests feel 'bossed around' like we've seen at other weddings - Charlotte worked with us and our natural personalities in photos. Getting our photos back last weekend just proved what we had known all along - she had done a perfect job of taking photos that people didn't even know were being taken! She blended into the day really well and captured some truly beautiful shots. Neither myself or my other half fancied having an engagement shoot as neither of us like being in front of a camera so our big day was the first time Charlotte met us in person or had ever photographed us. She seemed to just 'get us'. At no point did we feel uncomfortable in front of the camera and Charlotte never asked us to do anything we wouldn't have felt comfortable with; anything she did suggest always came with the added "but it's entirely up to you." There was no pushiness in order to 'get that shot'. Instead, she worked with us and the result is a series of photographs that genuinely capture the emotions, relationships, big moments and (equally as important in our opinion) the small moments of the day. Every time we look through our photos we fall in love with them all over again. Thank you, Charlotte - we will definitely recommend you to everyone we know who gets engaged without a moment's hesitation!" "Charlotte, what can we say! We are so so so delighted we found you! We love all the photos and are so very grateful! You’ve literally captured it all so well. Seriously great work. My friends and family say you have done us proud too so thank you so much. You really have made me an album of truly treasured scenes. And that is priceless"
"Charlotte photographed our wedding in August and I'm so glad we chose her. She's so friendly and helpful and really took the time to get to know exactly what me and my new husband wanted for our photographs. She took so many amazing photos and she organised everyone really well. I didn't even realise she was taking photos half the time throughout the day and it means we now have some beautiful casual shots of everyone just enjoying the day. 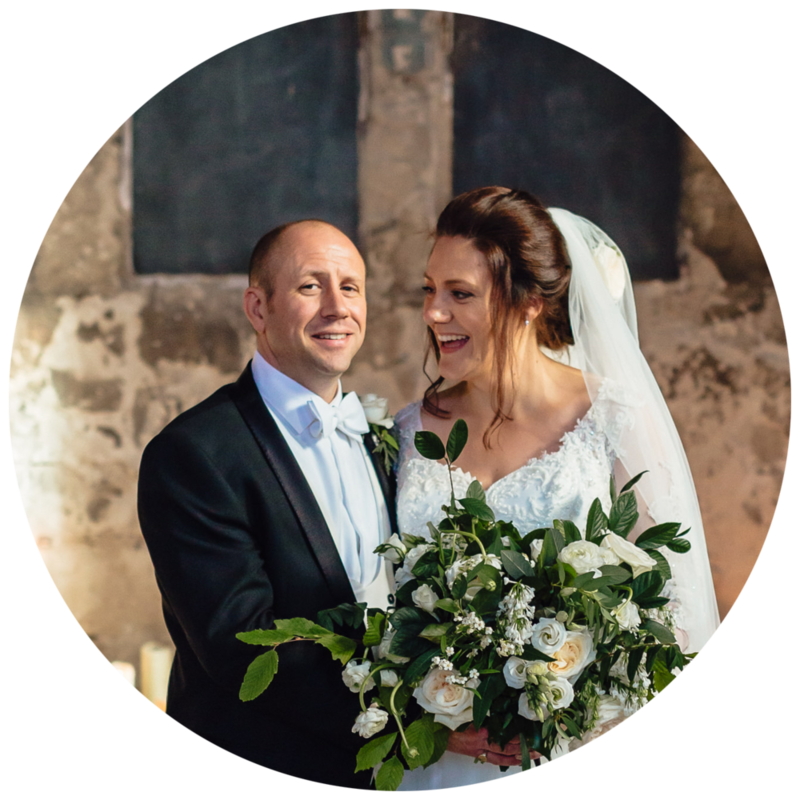 We would both very much recommend Charlotte to anyone"
"We are so delighted with Charlotte's photos of our wedding. Charlotte was brilliant throughout the whole time. To be honest we didn't really notice her on the day but her communication before and after has been excellent. She listened to our brief and delivered exactly what we asked for. We also had some engagement photos, which I would totally recommend. Initially we were unsure about having them, however the experience and working with Charlotte beforehand totally put us at ease on the day. Thank you Charlotte, we are thrilled with the photos"
Perhaps you booked me as your photographer, we have worked together or we've met and you'd like to leave me some kind words; you can do so here. Thank you so much!